A cluster of the William F. Turner variety. Peonies are the most voluptuous of flowers full, ruffled, petticoated, and fragrant, like beguiling Southern belles in hoop-skirted gowns or debutantes dressed for the cotillion. The rare sight of a field full of peonies evokes a ballroom awhirl with waltzing frocks in party-dress shades of white, blush, pink, and deep wine. 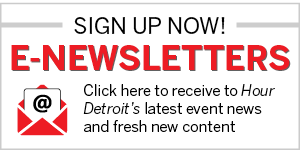 That colorful dance begins next month at the Nichols Arboretum on the University of Michigan campus in Ann Arbor, where garden beds will be awash in the blooms of North America’s largest public display of heirloom peonies. For some, it’s a nearly swoon-inducing experience. Visiting enthusiasts have been known to react as if encountering a long-lost love, gazing at a blushing pink face and gasping: “That’s Silvia Saunders,” referring to the rare variety named for the daughter of famed Canadian hybridizer Arthur Percy Saunders. 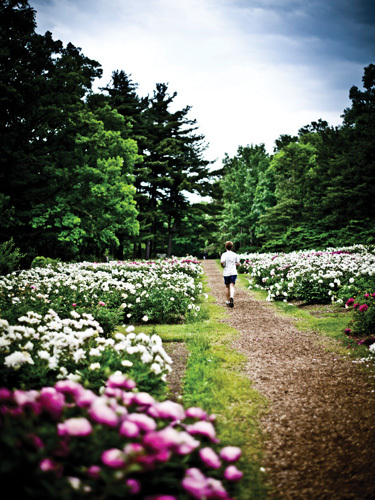 A child runs through The Peony Garden at Nichols Arboretum in Ann Arbor last year. This beauty’s name is unknown. There are about 50 mystery plants in The Peony Garden. The Nichols collection was made possible because the beauties caught the fancy of Kalamazoo pharmaceutical magnate W.E. Upjohn, who collected peonies at his Augusta, Mich., estate, Brook Lodge. 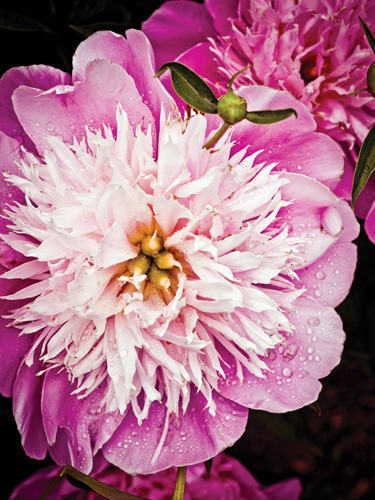 In 1922, Upjohn donated hundreds of the plants to the University of Michigan, where they thrive, with 270 peonies erupting in pastel glory every spring. This year marks the 90th anniversary of Upjohn’s gift to the school. The U-M Peony Garden, designed by former Arboretum director Aubrey Tealdi, was opened to the public in 1927. 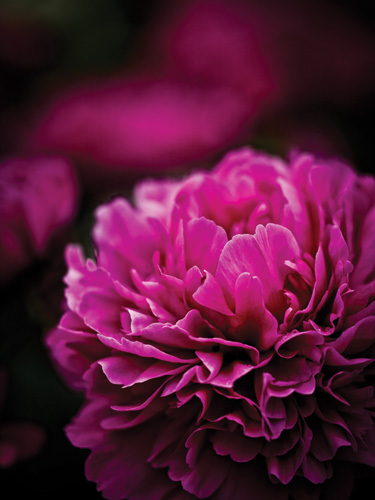 Upjohn reportedly grew as many as 675 peony varieties on 40 acres at his home. Today, his botanical legacy attracts passersby, students, nearby workers who spend lunch hours among the flowers, and visitors who travel miles to experience the antique varieties, many no longer available for purchase from plant nurseries. Although peonies are famously reliable and undemanding, which adds to their appeal for home gardeners, maintaining the 27 beds at Nichols is a complex task of horticultural sleuth work, one that takes on almost archeological aspects. The Peony Garden is undergoing an identification and conservation project designed to establish it as an internationally recognized living reference, as well as a destination for enthusiasts. The two-toned, lovely Kelway’s Majestic. Working with an advisory board of experts and armed with planting maps of the peony beds from various years (1927, 1949, and the 1970s), project participants are endeavoring to properly identify every plant. About 50 mystery plants live in the beds. A restoration effort, also under way, seeks to replace peonies that were removed or lost over the years. The garden accepts donations of heirloom plants (World War II era or earlier, with an emphasis on varieties from the late 1800s and early 1900s). The snow-white Pride of Essex. Variety named after the Queen of Actresses. Are there favorites among her charges? Yes: Pallas, Ella Christiansen (“looks like strawberry ice cream”), and Departing Sun. Another beautiful variety whose name is unknown. The Peony Garden at the Nichols Arboretum in Ann Arbor usually blooms mid-May to early to mid-June. Times vary yearly depending on weather. Peony sale, June 2, 9-3:30 a.m.; festival, June 2-10; 734-647-7600, lsa.umich.edu/mbg. Peonies are not native to America. They’re originally from China, where they’re virtually the national flower and often appear in Chinese art. 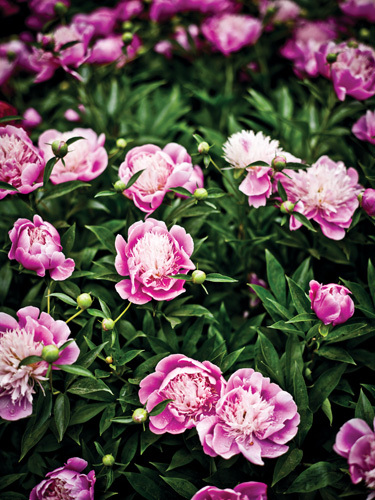 Peonies are also highly popular in Japan and Korea. They came to the North America via Europe. Peonies are classified as an herbaceous perennial. There are tree peonies, which are actually woody shrubs. The tree can be a bit trickier to grow than the herbaceous type. 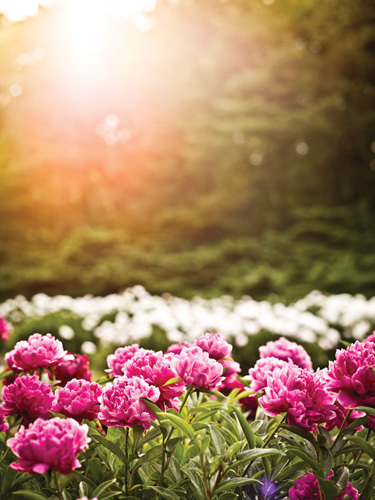 Peonies love cold winters and a mild, warm spring. They need the cold to flower, meaning they don’t do well in southern U.S. states. Older varieties are more fragrant; newer ones are bred for sturdier stems. 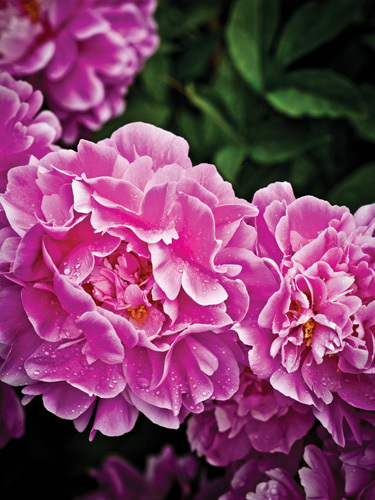 For all general purposes, peonies are like small shrubs. They can be massed in a landscape. People often ask if ants help the buds by tickling them to open. But the ants, commonly seen on the golf-ball size buds, are enjoying the excess stored nutrients that emerge as sticky sweet syrup on the bud. 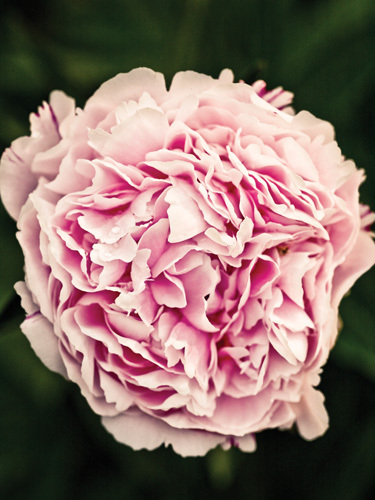 Peonies are extremely hardy and are known for being passed down from generation to generation. Early American pioneers often took them from home to replant farther west. 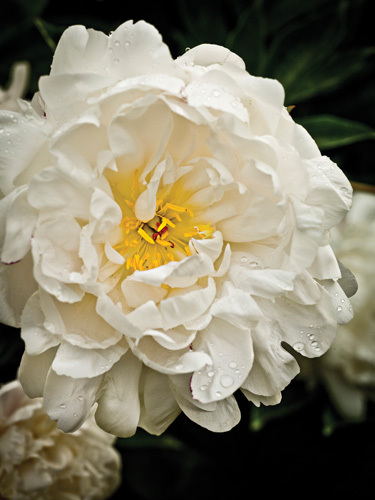 A Short List of Fragrant Peonies: Albert Crousse, La Fée, Asa Gray, La France, Avalanche, La Perle, Baroness Schroeder, Mme. de Verneville, Duchesse de Nemours, Mme. Émile Lemoine, Gismonda, Octavie Demay, Grandiflora (Richardson), Philomèle, James Kelway, Primevère, Kelway’s Glorious, Splendida. 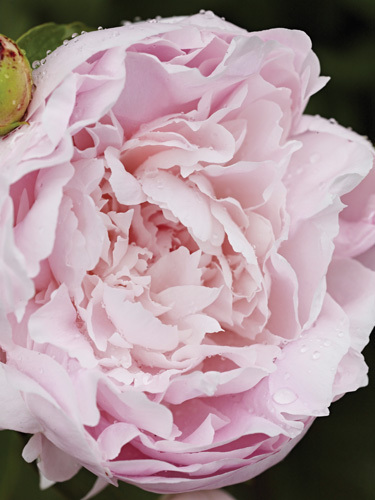 A Short List of Delicately Beautiful Peonies for Cutting: Eugénie Verdier, Mireille, Frances Willard, Mme. Calot, Ginette, Mme. Jules Dessert, La Lorraine, Mrs. C.S. Minot, Le Cygne, Solange, Marie Crousse, Souvenir de Louis Bigot, Martha Bulloch, Thérèse, Milton Hill, Walter Faxon.